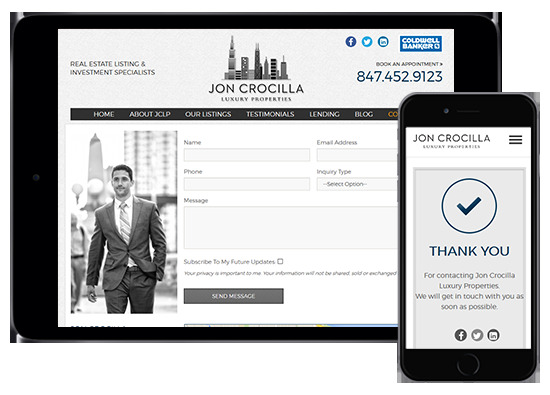 Jon Crocilla Luxury Properties was founded to satisfy the multitude of needs for people seeking guidance in the real estate market. We are able to match the client's lifestyle and needs to their budget with great care and efficiency. 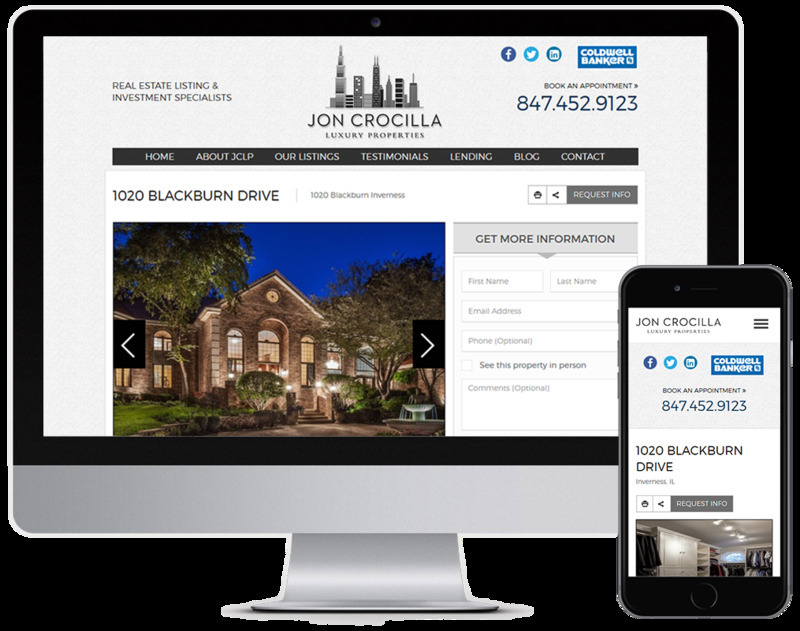 Jon Crocilla Luxury Properties helps our clients get qualified with expert service, identify the desired property and secure the property through aggressive and skillful negotiation. JCLP takes the initiative to follow the market closely so they are able to properly guide their client's through the acquisition of the client's investment, whether that be single-family homes, multi-unit properties or income producing properties. When it comes to luxury branding, it is essential to have a strong online presence. 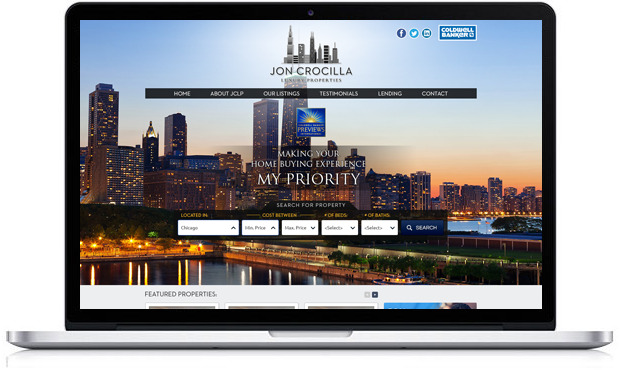 We wanted this website to showcase the sincerity and integrity that Jon Crocilla Luxury Properties strives to attain with each individual client. When it comes to creating an active content stream on your website, a blog is essential to post news, updates, and events. 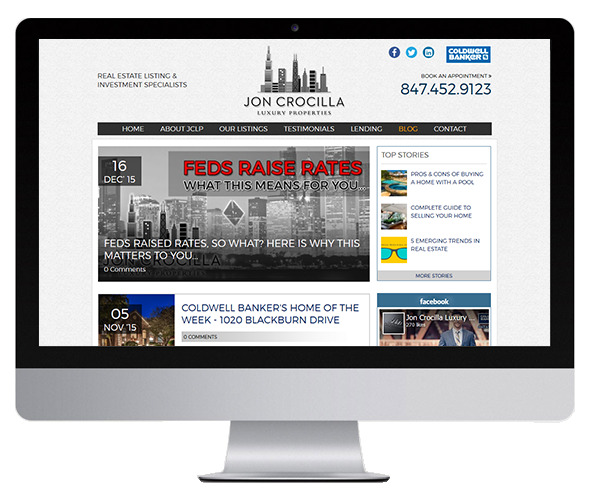 We wanted to allow the Jon Crocilla Luxury Properties' website to stay up to date with information and press releases, as well as optimize site content with industry rich keywords. 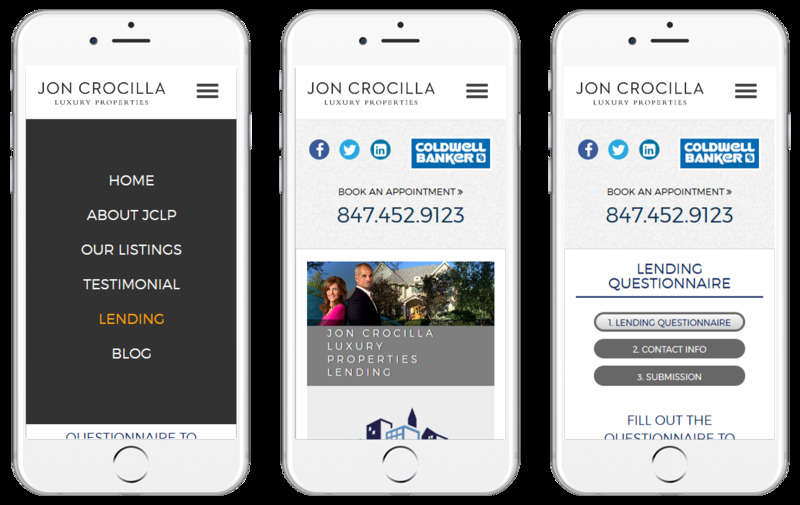 With a custom contact form, customers are able to easily get in touch through desktop, tablet and mobile devices. The website admin is notified of the inquiry via email, ensuring that communication lines always stay current.